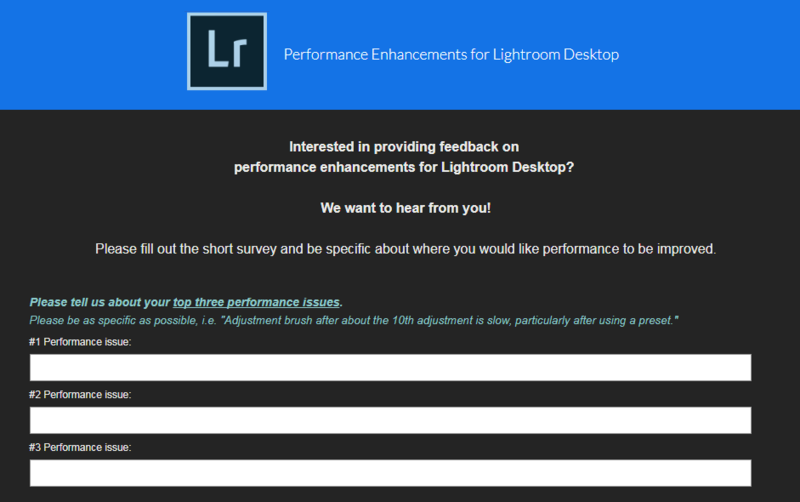 Many Lightroom users have been complaining about the software being too slow. It seems that Adobe has heard the complaints, and they’ve made their top priority to improve the performance of Lightroom. In a blog post on Adobe’s website, they call the users to submit their complaints, and Adobe team shall collect the data and work on the improvements of the most common issues. I used to think Lightroom was laggy because of my ancient computer. But even after buying a new one, the program is still a bit slow. Still, it’s my favorite editing software, and I haven’t replaced with another one. Therefore, I’m looking forward to seeing the improvements. Lightroom is dead to me. Hail Capture One. Capture One is essentially more accurate than Lightroom or Camera Raw. The colours are more precise, whereas Camera Raw and Lightroom desaturates them a little. The sharpening alone is much cleaner too. As for file handling, it’s more complicated at first in terms of learning it but much better. You create new catalogues or sessions but they are never tied a “Capture One library” like Lightroom is. This makes it easier for moving around sessions to various devices rather than having it attached to a library. Basically it future proofs your shoots and simplifies archiving. I like CO, I wish it would detect duplicates while exporting like LR does. I use Lightroom for events only just because I have a few presets that haven’t mimicked in Capture One yet. As for smart collections, it’s not a feature I ever use in Lightroom but maybe this will shed some light. For all the interiors you do, Capture One will benefit you because it’s Keystoning features are stellar. Does CO batch HDR? Photomatix has never had a feel I like, but they had a batch process, LR never has. You can do HDR in it but I’m not sure about doing it in batch. No contest! Except Fuji RAF’s still needs to be imported using LR – then opened in C1? Why Adobe Lightroom is dead for you? After an SSD and a RAM upgrade its not so bad……. Finally! I just built a new PC with Ryzen 1700 and RX480…still painfully slow. It’s so slow and annoying. I do like the mobile sync tho. They keep making it faster, then it gets slower again. I’m on 5.7 and no lag… Whatever! Never used it, likely never will. Don’t force me into creating libraries! Bridge is brilliant, in that it is dumb. Kind of late on their behalf. If you can create some beautiful effects quickly and easily by downloading some of the wonderful Lightroom presets over on Envato Elements.